With the cold weather fast approaching, I tend to look for foods that warm me up from the inside. In many cases this is not always easy to do while keeping on track with a healthy eating lifestyle. In the cold months of the year, I always seem to be craving stodgy food as a kind of comfort to counter the bad weather, but this is no good for the waist line... unless you are planning to pack on the pounds ready for winter like a seal. 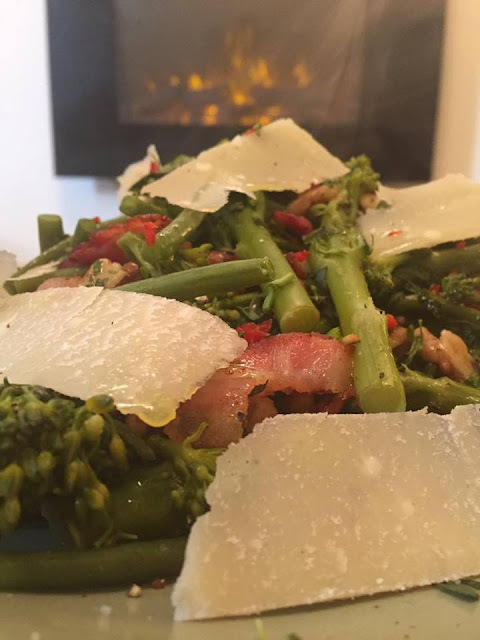 I do love a good warming healthy soup, on crisp cold afternoons but salads are much easier for me to take to work, also they can be made in advance and don't need warming up, so are just a little bit more convent for me. Salads can get a little boring, if you let them, but if you jazz them up every now and again you won't get to the point where you can't stand the sight of lettuce sitting in your lunchbox. 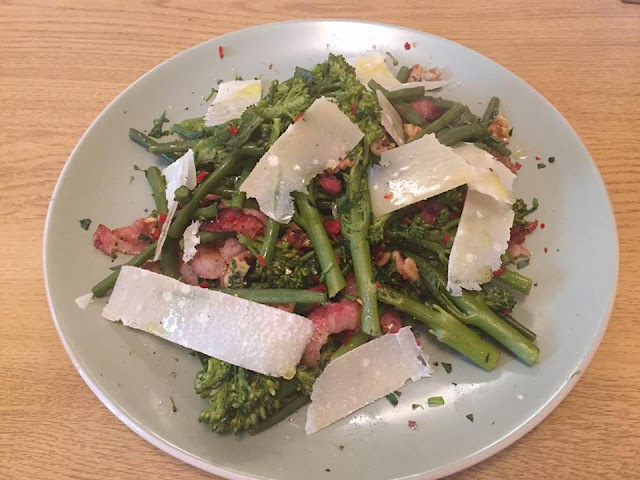 With this in mind, I thought I would share a recipe for a warming salad that is a little twist on the usual salad involving leaves, which is perfect if you are looking to eat healthily through the winter. I was given the challenge to create my own recipe using Tenderstem broccoli and fine green beans, and in the true spirit of ready steady cook, I managed to rustle up this little gem. As this is a salad, you can mix and match the quantities to suit your taste. When I made this, I had plenty left over, even after sharing it, and managed to use the rest of this as a side salad the next day. So it is not just tasty, it's versatile. 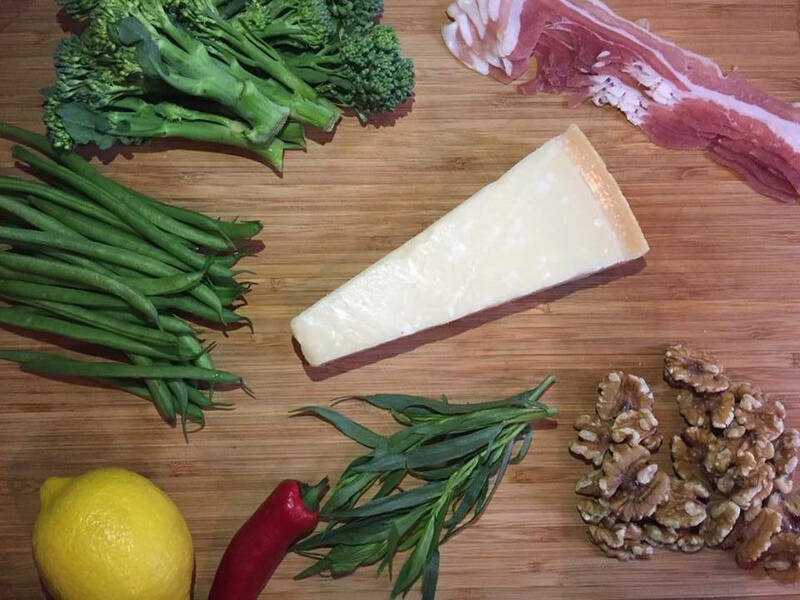 First of all to prepare the ingredients, prepare the the green beans by chopping off about half a centimetre at either end and cut the pancetta into lardons (small pieces). I tend to use kitchen scissors for this as it takes half the time. De-seed a whole chilli, chop very finally and pull off sprigs of fresh tarragon and again finely chop. 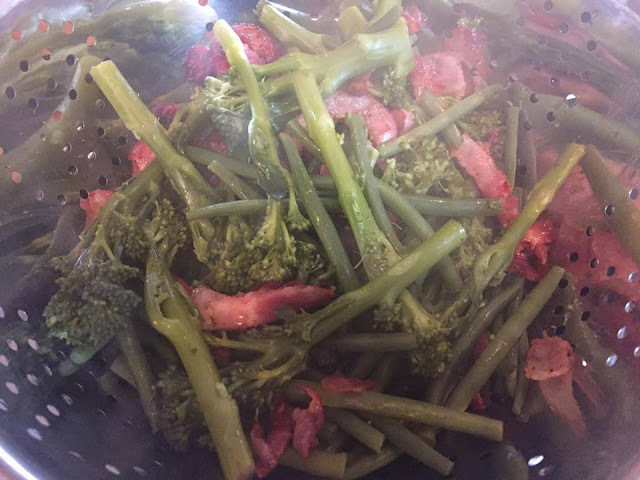 Meanwhile, boil the kettle and simmer the broccoli and fine green beans in a saucepan until they are soft and can be pierced easily by a fork. 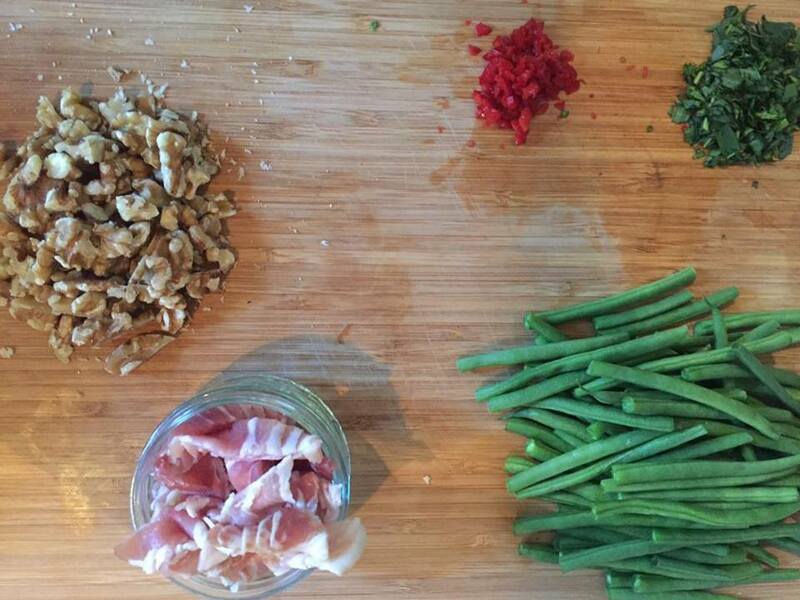 While the broccoli and fine green beans are cooking away, chop up the walnuts into halves. Put them into a frying pan on a medium heat to toast and once browned, turn the heat down low and add a little butter, half the tarragon and a pinch of salt and pepper, remove from the heat after 3-4 minutes. 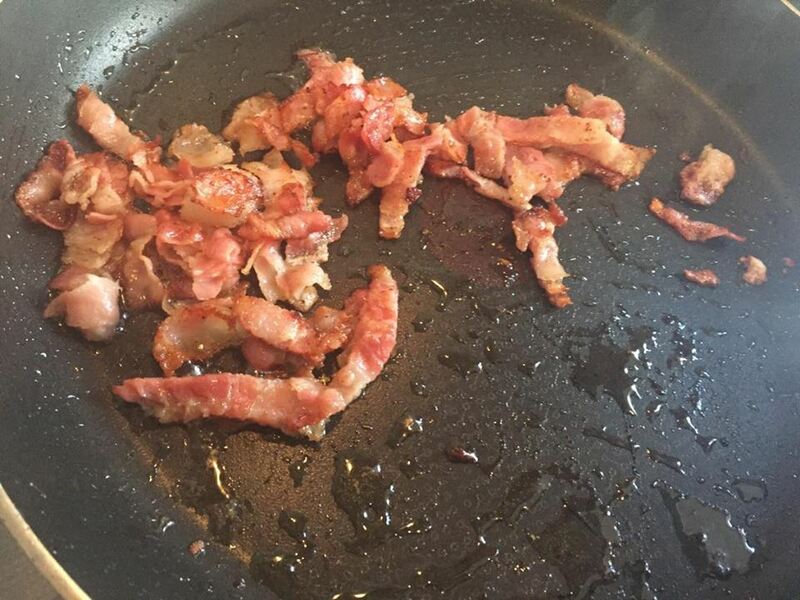 In a hot pan, add little olive oil and fry the pancetta lardons. Once they are looking golden and crispy take them off the heat. All that's left to do is to toss the vegetables, walnuts and pancetta together with the rest of the tarragon and the chopped chilli, with a glug of olive oil. Season with salt and pepper, and then (I used a vegetable peeler for this), shave long strips of parmesan over the combined salad. 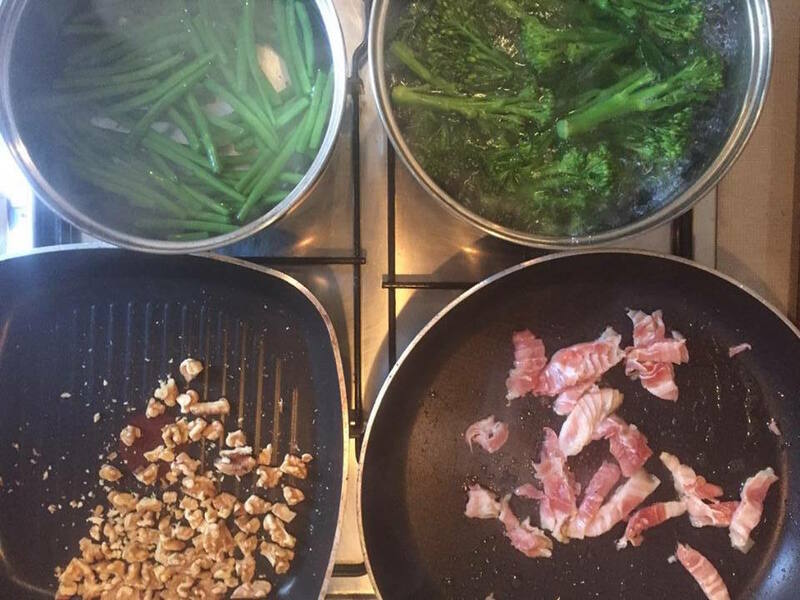 Tenderstem is a mixture between Chinese kale and broccoli so it does look like it has longer stems but don't get cutting the stems off as they are packed full of nutrients! It takes around 15 minutes to make and you can't go wrong really, do you have any winter salad recipes? *I was gifted a voucher to test out a Tenderstem recipe but the words and opionions are my own.